A digital nomad is someone who is able to earn a living online by working on their laptop or phone. In doing so, they are then able to travel and live a nomadic lifestyle, without being tied to any one specific place. It can be difficult to get started as a digital nomad and many beginners find themselves running into teething problems, so in this article, we’ll discuss some top tips to make your life as a digital nomad easier. One of the main fears of beginner digital nomads is the lack of consistent money. Many nomads earn their living through freelancing online and this often brings with it an inconsistent income. That’s why it’s best to diversify your income as much as possible. Having many different ways to make money will make it easier to earn money and make your life less stressful if you have a client or job bail on you. Some common online jobs include writing, graphic design, web development, dropshipping, and social media marketing. This is something that many digital nomads tend to skip out on, in the interests of saving money. Don’t do that. Invest in decent travel insurance and especially travel medical insurance. You never know when something could happen and having insurance to help you when you’ve lost your laptop (aka your only way to make an income) or hurt yourself, is absolutely invaluable. There’s a whole online community out there waiting for you to connect with them if you just go and look. Chances are you’d already heard about the digital nomad online community, maybe that’s even what brought you to considering a nomadic lifestyle yourself. Becoming active and engaged in these online communities, such as the ones on Reddit and Instagram, can be an invaluable resource. Not only do you get to potentially meet and connect with other digital nomads, but you can also learn from their mistakes and use their more experienced wisdom to guide you. 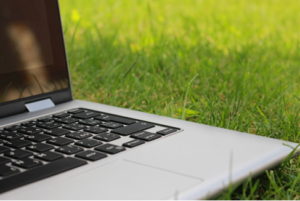 In a similar vein to social media, there are lots of online resources for digital nomads. Websites such as weworkremotely showcase remote jobs that are perfect for digital nomads and other apps and websites such as iOverlander can help you to find places to camp, find gas or propane, and a million other useful stops. This goes for anyone, but try to be wise about your spending. As a digital nomad, chances are you aren’t going to have the luxury of spending lavishly everywhere you go, so be careful and conserve your money, just in case of emergency. Choosing to go for the local farmers market rather than an expensive café can actually provide a much more authentic local experience anyway and has the added bonus of saving you a lot of money. Being a digital nomad isn’t the easiest lifestyle, but for many it is one of the most rewarding and enjoyable lifestyles out there. Whether you’re a newbie DN, a veteran, or just considering it. Hopefully, this article has provided some insight.